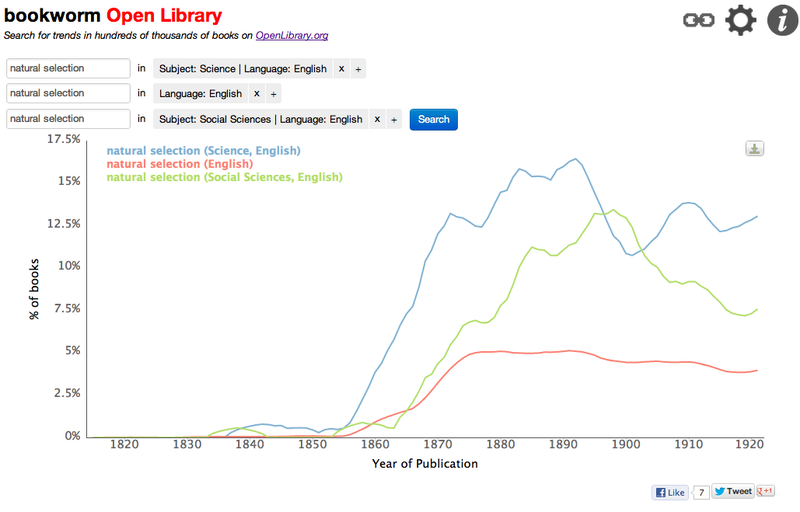 How can data visualization help us build exploratory interfaces to huge digital libraries? 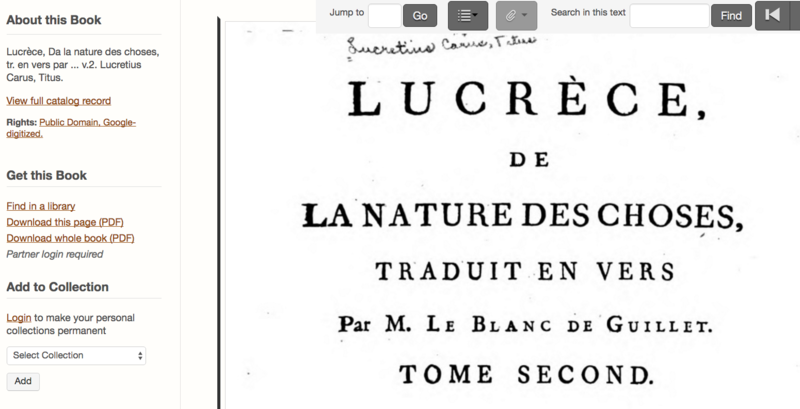 How can we use digital full-text to facilitate discovery and library metadata? Neva Cherniavsky, Martin Camacho, Matt Nicklay, Billy Janitsch, JB Michel, Muhammad Shamim. Vectorized documents are a necessary input to algorithms. 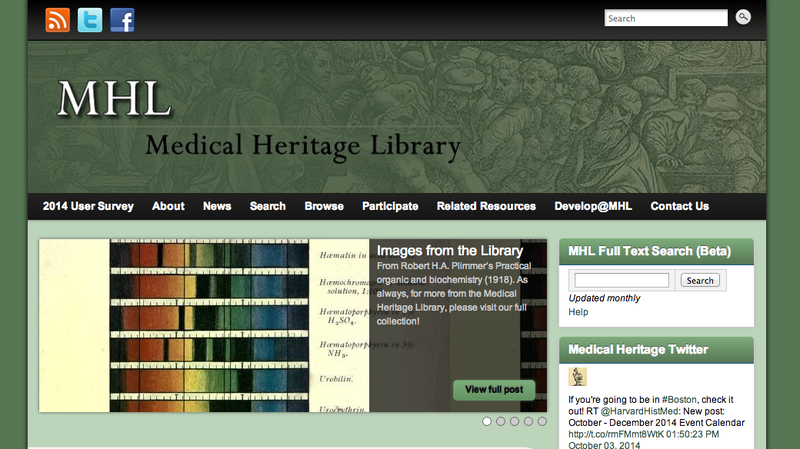 More important now that metadata is being used as the only discovery method for books. What's the best way to reduce dimensionality? Reasons not to use the best methods. Computationally intractable: full matrix is trillions of rows, sparse matrix is billions. Difficult to distribute; users at home can't embed documents in your space. Any embedded space is optimal only for the text collection it was trained on. Perform a log-transformation on the frequencies. Randomly project those frequencies into a lower dimensional space (using SHA-1 hashes) to make the process reproducible. 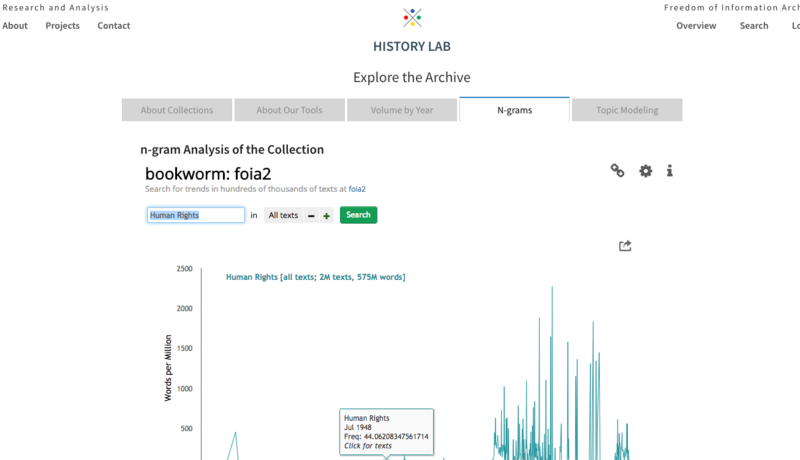 Make discovery easier on unlabelled collections. Better understand biases and prejudices of standard knowledge organization. 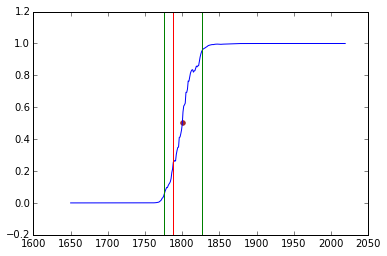 Blue line is classifier probability for each year Red vertical line is actual date. Outer bands are 90% confidence. SRP with bigrams and trigrams.